George Frideric Handel’s English Ode, L‘Allegro, il Penseroso ed il Moderato, HWV 55 was composed between 19th January and 4th February 1740 during a severe winter that had caused the cancellation of a revival of his Masque Acis and Galatea. The text is taken from Milton’s two odes L’Allegro and Il Penseroso arranged by Charles Jennens (1700-1773) who also provided his own third part, Il Moderato. There are no characters in L ‘Allegro, il Penseroso ed il Moderato. The characters are personifications of emotional states and as such are sung by different soloists. Indeed the choice of soloist has varied in later editions. Concerto Grosso No. 1 in G Major, Op. 6, HWV 319 as, indeed, the composer would have done. The sparer textures of the Gabrielli Players bring some particularly fine sounds, often lithe and full of clarity. 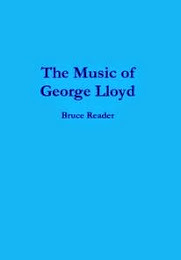 This is a particularly fine performance that makes an ideal introduction to the main work. An absolute delight. Part I of L'Allegro, il Penseroso ed il Moderato opens with tenor Jeremy Ovenden, bringing a fine characterisation to the recitative Hence! loathed melancholy using his fine voice to find a variety of timbres. Soprano Gillian Webster shows her lovely, articulate voice in the brief recitative Hence! vain deluding Joys. What a delight treble Laurence Kilsby is as he sings the Air Come, thou goddess, fair and free, in terrific voice with plenty of strength, spot on phrasing and control. Gillian Webster returns showing exquisite control in the Air Come rather, goddess, sage and holy holding a perfect line whilst the Gabrieli Players provide some lovely sonorities. With the Air Haste thee, nymph, and bring with thee Jeremy Ovenden deals with Handel’s difficult vocal part, with its rhythmic phrasing, superbly. The Gabrieli Consort, when they join, are spot on with their phrasing and ensemble. This tenor brings such great variety to the Air Come and trip it as you go. Treble Laurence Kilsby sings Mirth, admit me of thy crew. After beautifully done instrumental introduction, this fine treble shows remarkable power, pitch and, indeed, understanding of the characterisation of this piece. Gillian Webster displays a lovely slow recitative First, and chief, on golden wing. It is finely laid out with lovely long lines before a beautiful pastoral introduction to the Air Sweet bird, that shuns't the noise of folly where the Gabrieli’s flautist, Katy Bircher, provides particularly lovely trills. When the soprano enters she has a lovely dialogue with the flute. The blend of vocal and instrumental is superb, a real highlight. The recitative If I give thee honour due introduces bass, Ashley Riches who brings drama to the part as well as to the Air Mirth, admit me of thy crew with the natural horn of Richard Bayliss providing a terrific opening. The Air Oft on a plat of rising ground also has notable instrumental moments with Gillian Webster providing an exquisite performance. Jeremy Ovenden tenor returns for the recitative If I give thee honour due leading to the Air Let me wander, not unseen a lovely setting with a gentle sway, beautifully caught here by both tenor and players. The Air & Chorus Or let the merry bells ring round is something of a triumph, full of joy, rhythmic buoyancy and a remarkable flexibility from Ovenden, with jingling bells adding to the gaiety before the chorus enter to take us to a glorious conclusion of Part I.
Paul McCreesh choses Handel’s Concerto Grosso No. 3 in E Minor, Op. 6, HWV 321 to precede Part II. This is another buoyant and beautifully textured concerto, these players on fine form with some great Handelian moments. Part II commences with the recitative Hence, vain deluding Joys where Gillian Webster is very fine, beautifully controlled before she sings the Air But O! sad virgin, that thy power. There is some superb instrumental playing before and during this lovely Air. The first CD concludes with a gentle sad recitative Thus, Night, oft see me in thy pale career in a lovely performance from Gillian Webster. 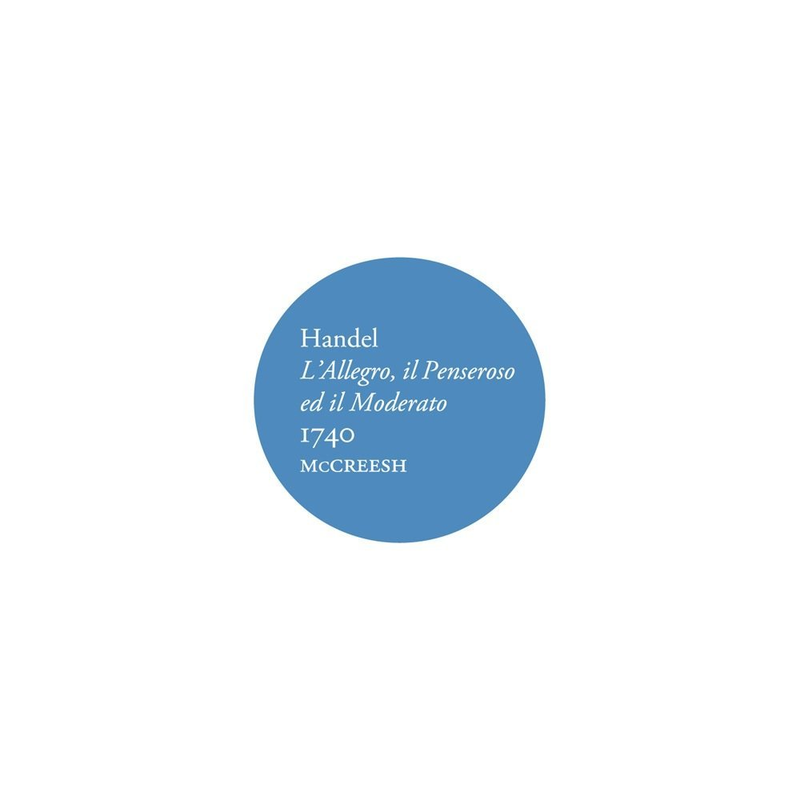 Moving to the second CD Paul McCreesh and the Gabrieli Consort and Players bring the Chorus Populous cities please me then with bass Ashley Riches and the brass of the Gabrieli Players adding a dramatic edge. There is a lovely flowing central choral section. Tenor Jeremy Ovenden brings the Air There let Hymen oft appear with lovely fleet playing from the Gabrieli Players, a lightness of texture and sung with great panache. Gillian Webster shows just how beautiful recitative can be in Me, when the sun begins to fling before the Air Hide me from day's garish eye which is simply glorious. Jeremy Ovenden’s performance of the Air I'll to the well-trod stage anon is full of character with a sense of great humour before the remarkable treble Laurence Kilsby returns for the Air And ever against eating cares with lovely sonorities from the Gabrieli Players. This treble shows such assured singing – spectacularly fine. Trumpets sound out magnificently to bring a terrific Air & Chorus These delights if thou canst give with some brilliant flexible singing from tenor Jeremy Ovenden and the Gabrieli Consort full and incisive. Soprano Gillian Webster gives a lovely recitative But let my due feet never fail before the Chorus There let the pealing organ blow with the Gabrieli Consort, a prominent part for organ and lovely part for soprano. Part II concludes with the Chorus These pleasures, Melancholy, give with a lovely layering of choral textures. To precede Part III we have Handel’s Organ Concerto No. 1 in B-Flat Major, Op. 7, HWV 306 which unlike the continuo organ in the main work is played by William Whitehead on the organ of Deptford parish church, London, England. This 2004 William Drake organ recreates an organ of 1745, retaining some of the case and pipes. It provides some glorious timbres and textures that, combined with the sounds of the Gabrieli Players, are quite gorgeous. One can quite imagine Handel playing at the early performances. The recitative Hence! boast not, ye profane opens Part III where baritone Peter Harvey joins showing an especially attractive voice with lovely textures. He continues with the recitative Come, with native lustre shine showing great flexibility and some fine feeling before the Gabrieli Consort join to lead the music on in this lovely Chorus. Gillian Webster is impressive in the Air Come, with gentle hand restrain showing such a light and flexible touch. Jeremy Ovenden gives a dramatically turned recitative No more short life they then will spend before, with the Gabrieli Players, building the Air Each action will derive new grace very finely. There follows a most lovely Duet from Jeremy Ovenden and Gillian Webster As steals the morn upon the night with beautiful instrumental sonorities and these two soloists blending perfectly, weaving lovely strands. Here surely is a foretaste of Handel’s soon to be written Messiah. It is the Gabrieli Consort and Players that rise up with the organ for the final Chorus Thy pleasure, Moderation, give bringing a fine conclusion. This is a performance to be reckoned with, one that is not easily going to be matched. The soloists are excellent as is the choral and instrumental playing. The first class recording from three different venues is generally seamlessly engineered except perhaps for a slightly noticeable larger acoustic sound from Deptford parish church. The book that the CDs are contained within is beautifully presented with excellent and very full notes. There are full English texts.